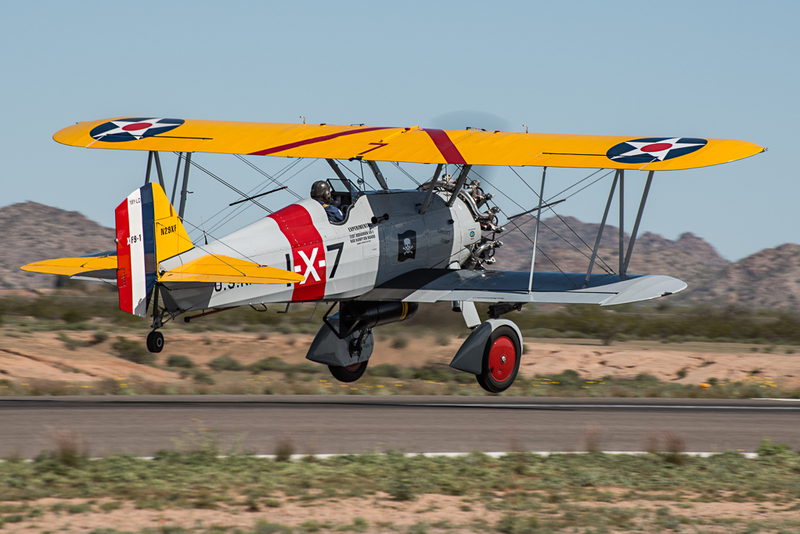 For 57 years, when much of the U.S. is still feeling the chill of winter, a gathering of hundreds of antique and classic aircraft takes place in the southwestern desert. 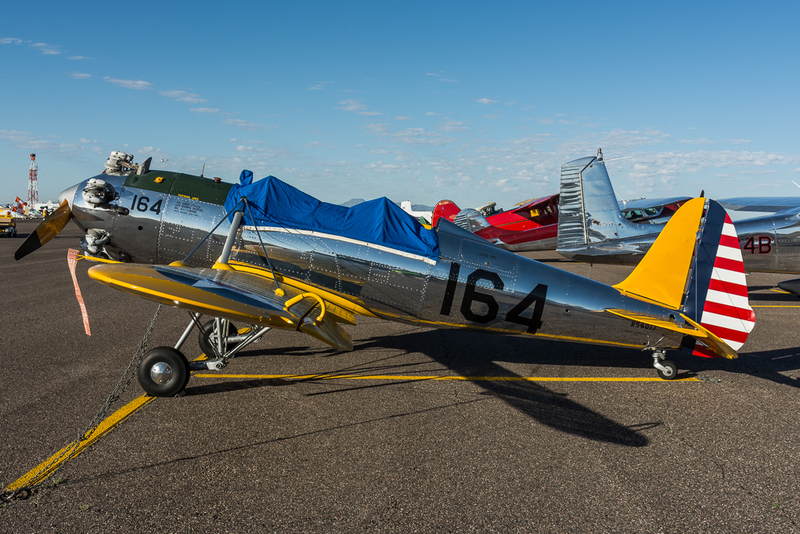 A central Arizona town known as Casa Grande plays host to this event known as the Cactus Fly-In. 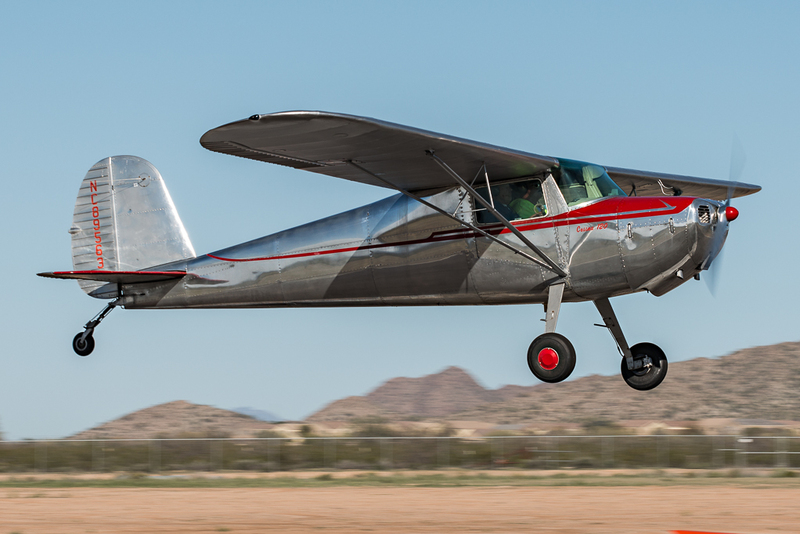 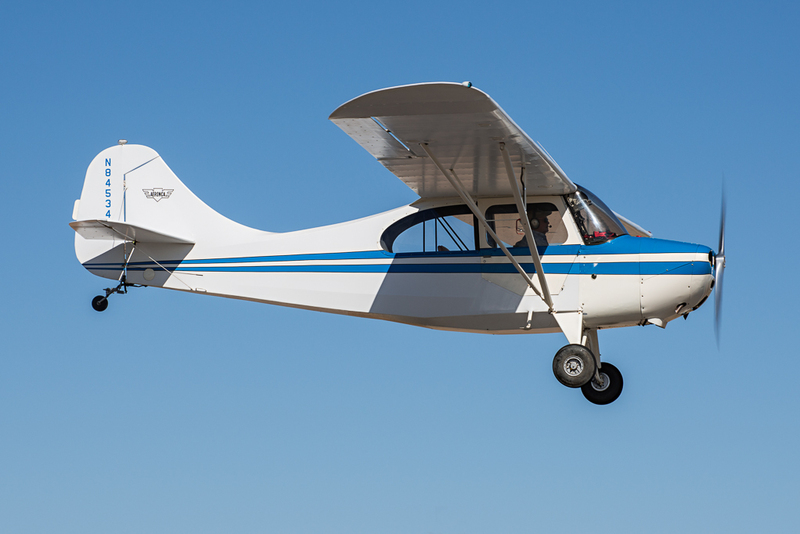 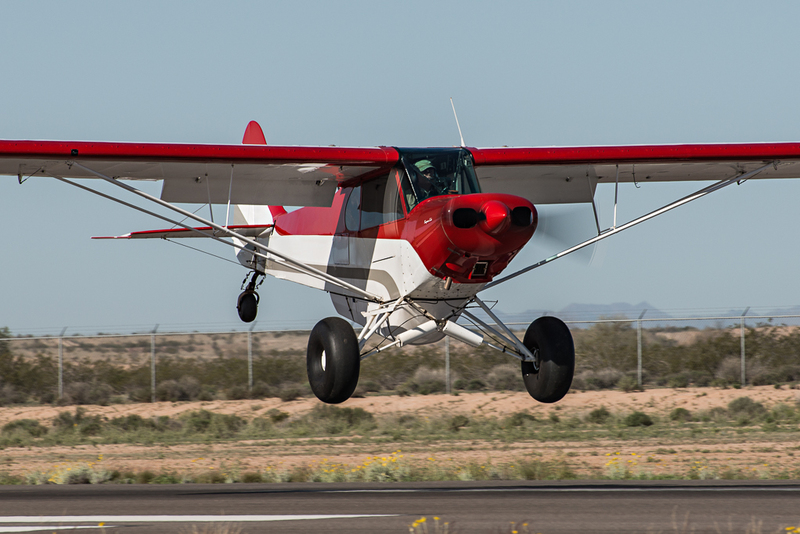 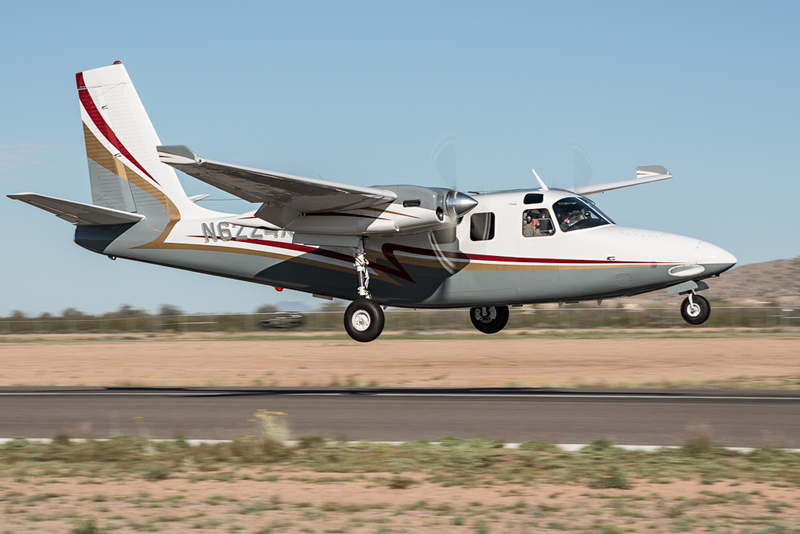 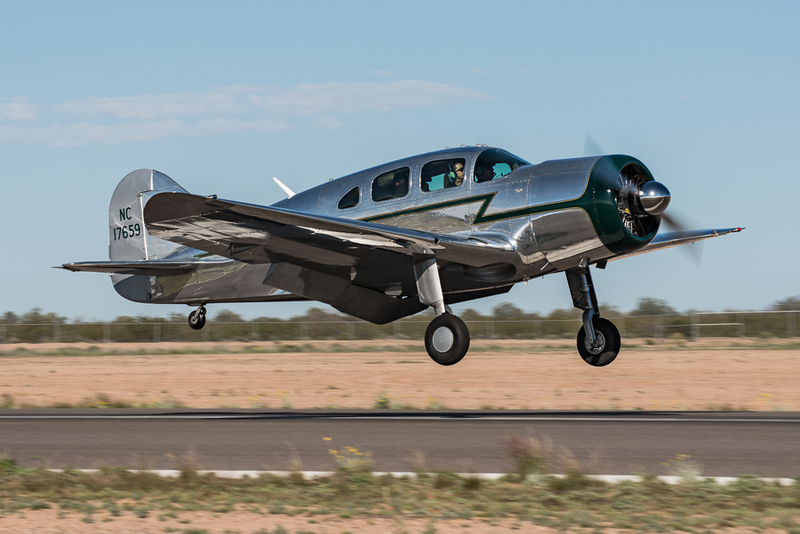 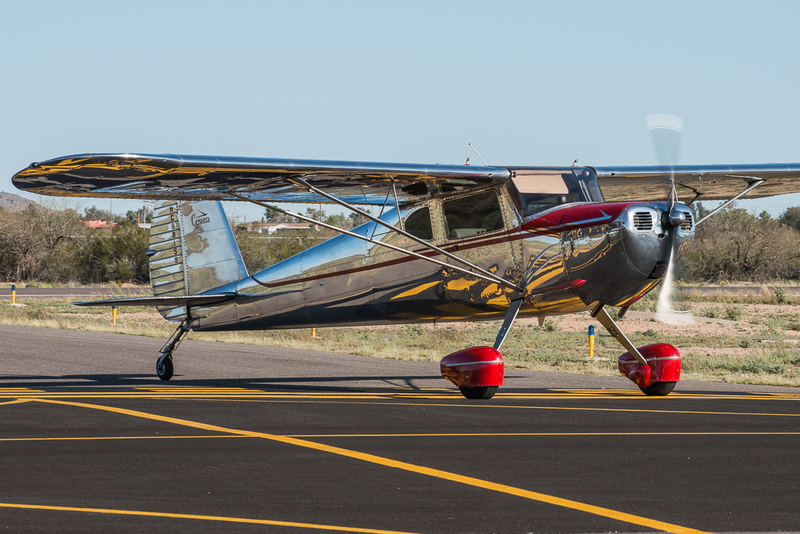 The 2015 Cactus Fly-In took place on March 6th and 7th, 2015 and was hosted at Casa Grande Municipal Airport by the Classic Airplane Association of Arizona. 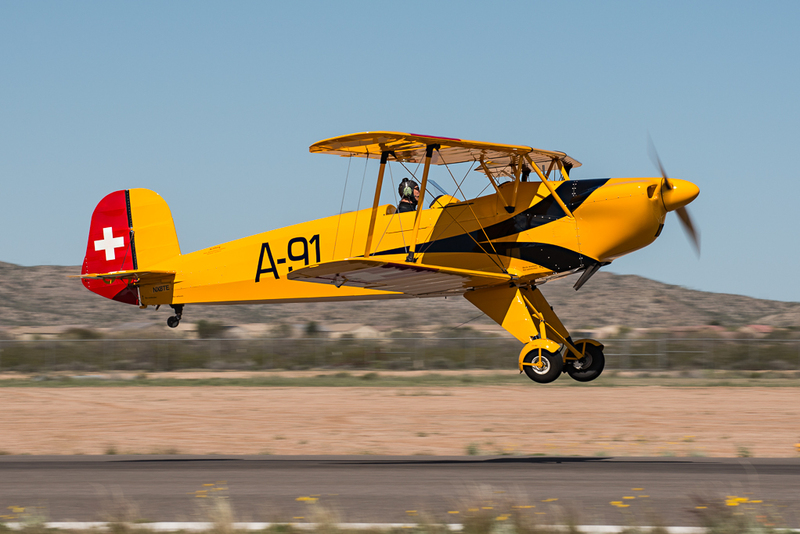 According to their website, the Classic Airplane Association of Arizona is a not-for-profit organization who’s: “mission is to promote the preservation, reproduction, restoration, use knowledge and history of antique aeronautica and sport aviation with promotion and supported interest in national antique aeronautical activities”. 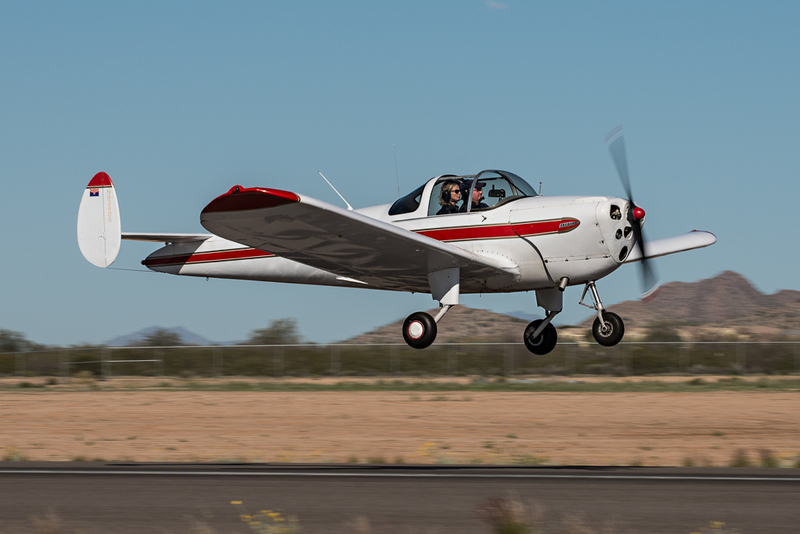 Arv Shultz, president of the Classic Airplane Association of Arizona who is also the Cactus Fly-In chairman, elaborated: “our goal, as the Classic Airplane Association of Arizona, is to preserve and propagate aviation. We feel we are doing that with the antiques. 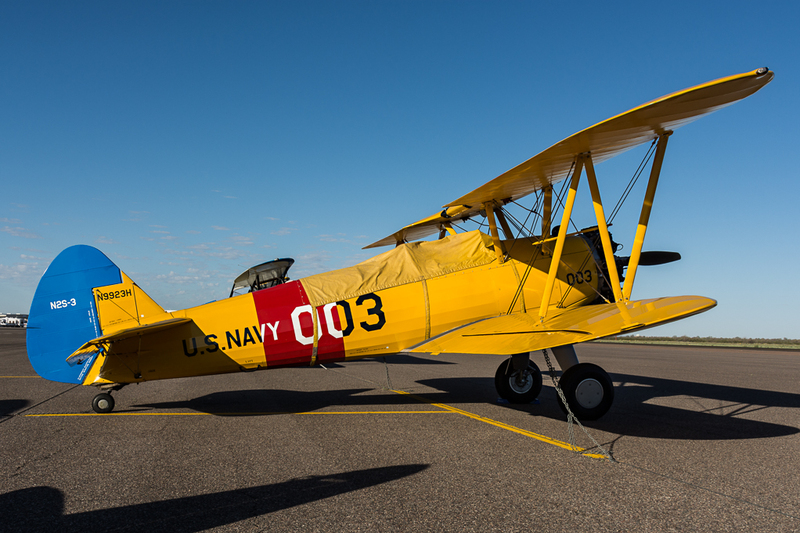 They are not only museum pieces, they are actually flying these airplanes. 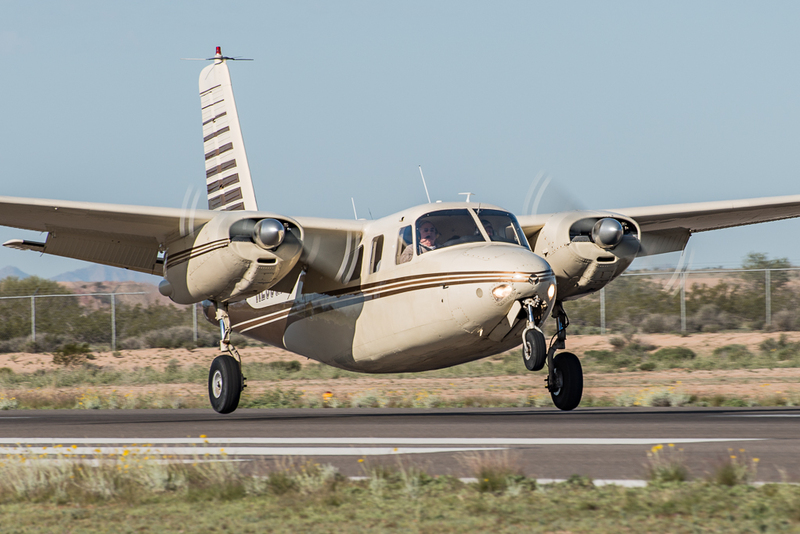 They have come in from all over the country here from various states such as California, New Mexico, Utah, Nevada, and, of course, Arizona”. 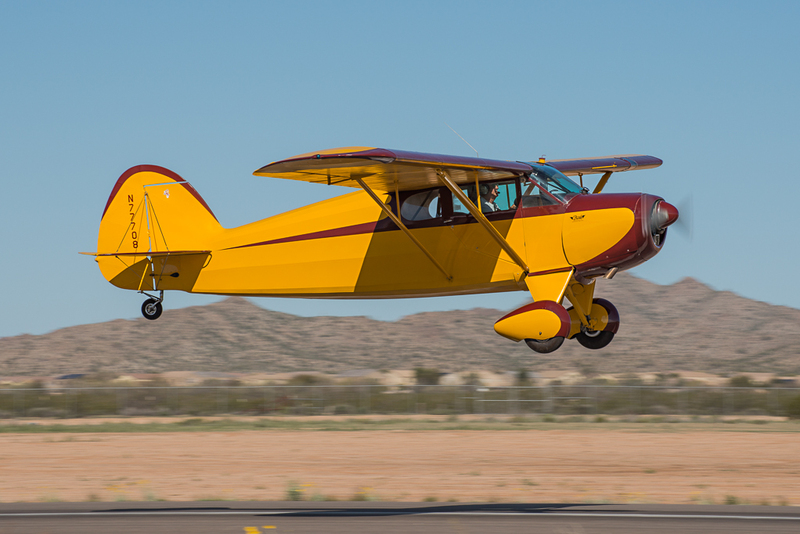 For the past 10 years, the Cactus Fly-In has been taking place at Casa Grande Municipal Airport (KCGZ). 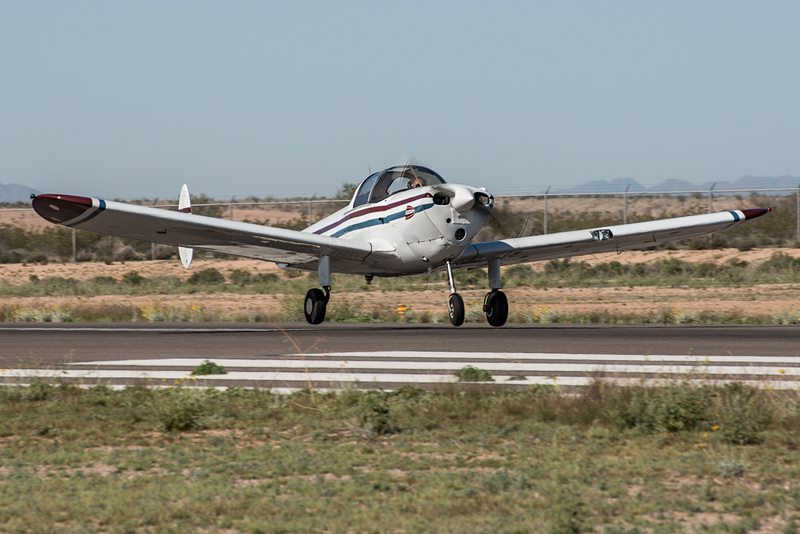 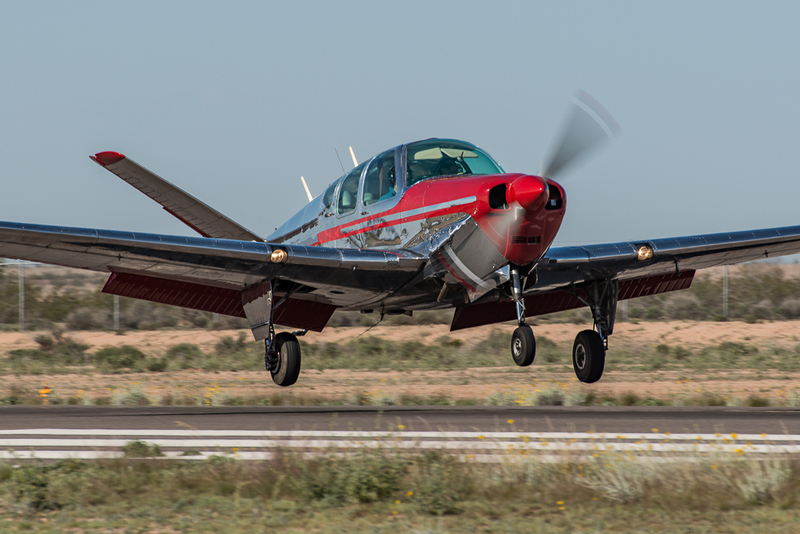 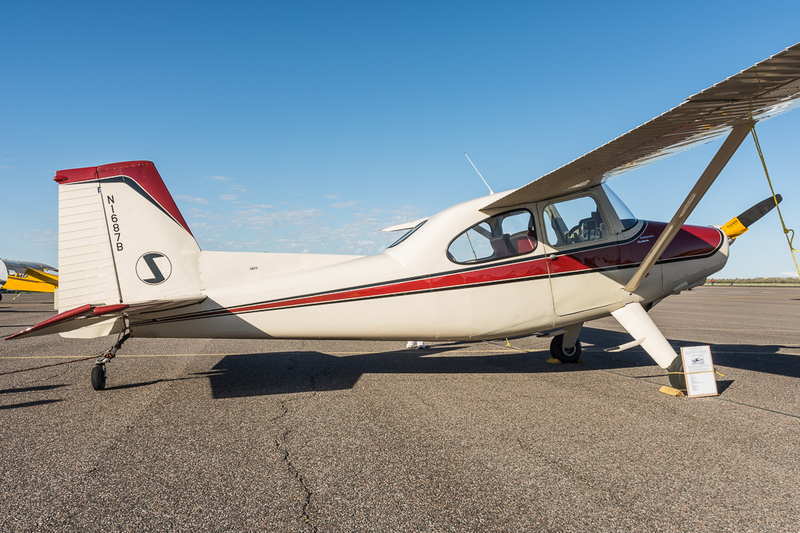 With it’s mild late-winter climate, spacious ramp area, proximity to major cities, and uncontrolled access, Casa Grande Municipal Airport has proven to be an ideal location for the event. 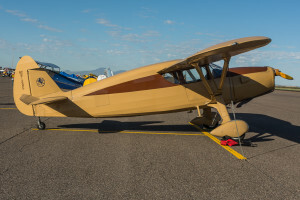 The purpose of the fly-in is to showcase antique and classic aircraft, but the organizer’s main objective is to promote and gain interest in general aviation. 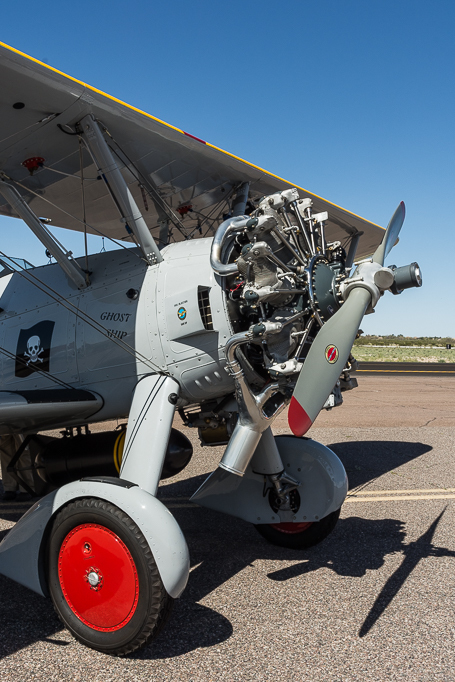 According to Arv Schultz the Cactus Fly-In is “an invitation to have old airplanes, antiques and classics, and that type of aircraft, to come out and visit with us and share their experiences with the public”. 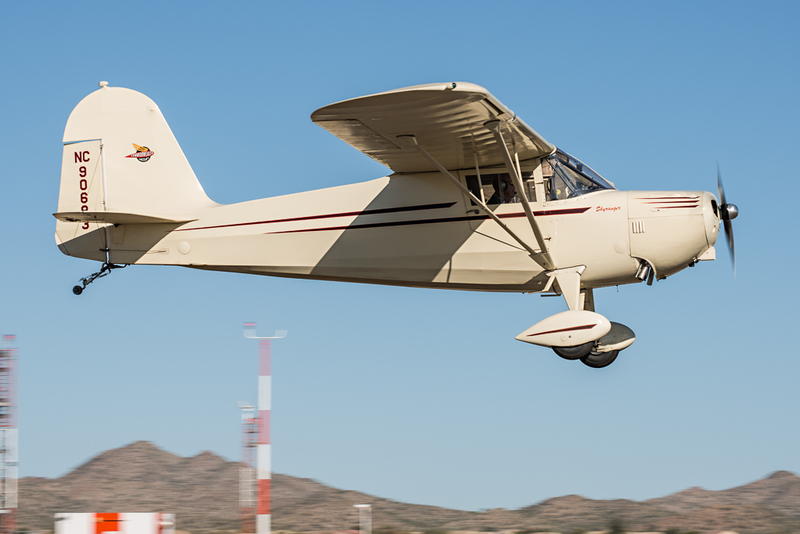 Approximately 300-500 aircraft visit the Cactus Fly-In annually. 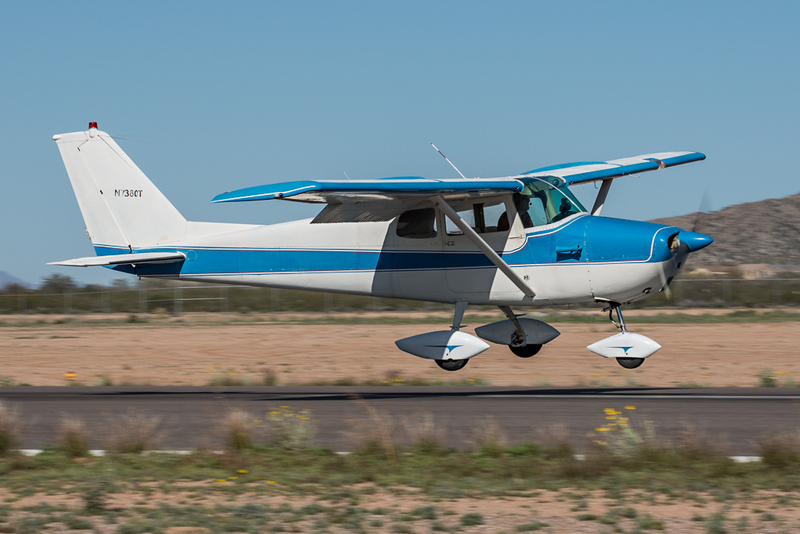 The 2015 Cactus Fly-In kicked-off on Friday, March 6th with 78 degree weather and mostly sunny skies. 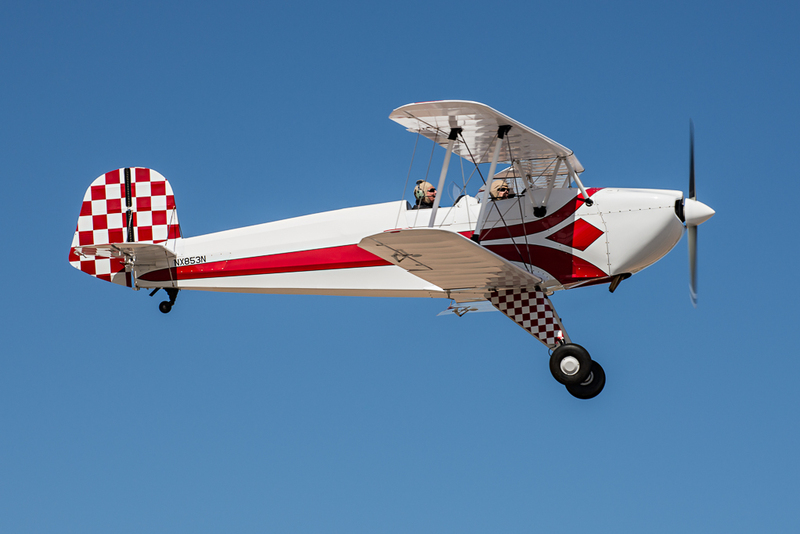 This perfect weather continued through Saturday, March 7th, the remainder of the fly-in. 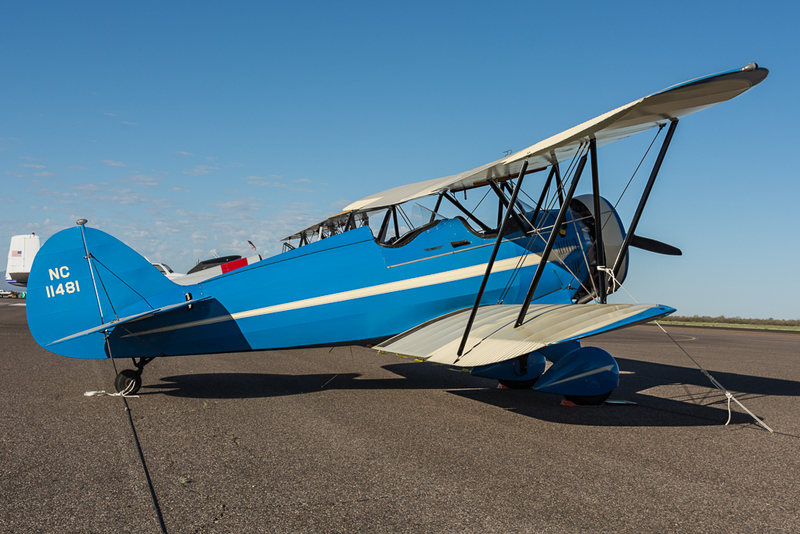 Perhaps one of the more interesting aircraft of the fly-in was not “technically” an antique or classic aircraft, but looked like one. 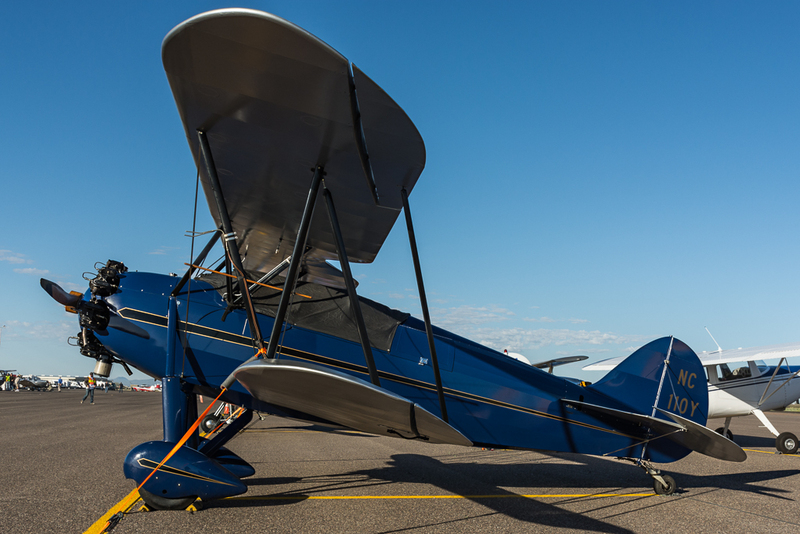 Inspired by the late 20’s/early 30’s Boeing and Curtiss aircraft, John Pike’s custom-made 1929XF ‘Ghost Ship’ (N29XF) was a crowd-pleaser. 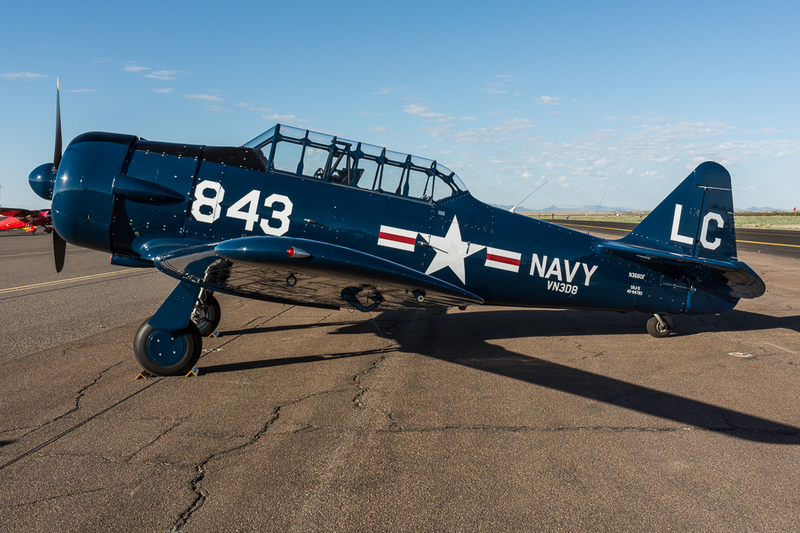 With U.S. Navy VX-1 markings and a powerful 600 HP Pratt & Whitney R-1340 Wasp engine, this aircraft was built to put on a show. 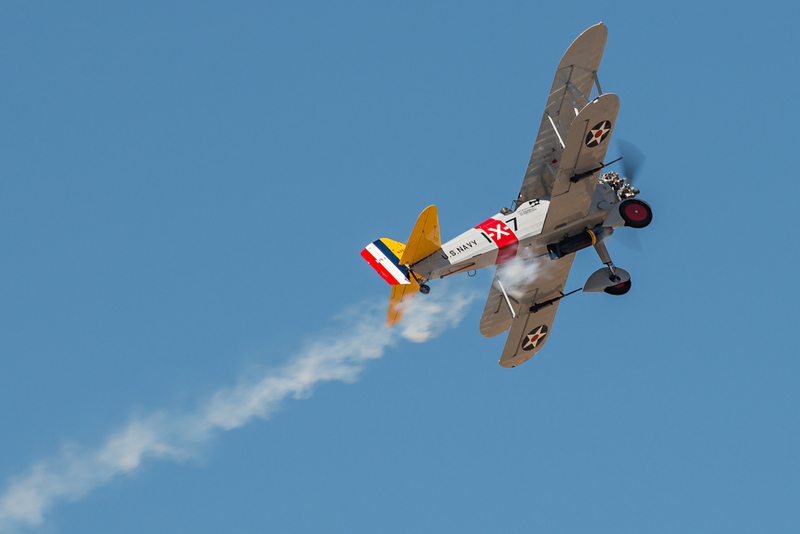 The aircraft has an inverted fuel and oil system and a smoke oil system for acrobatic performances. 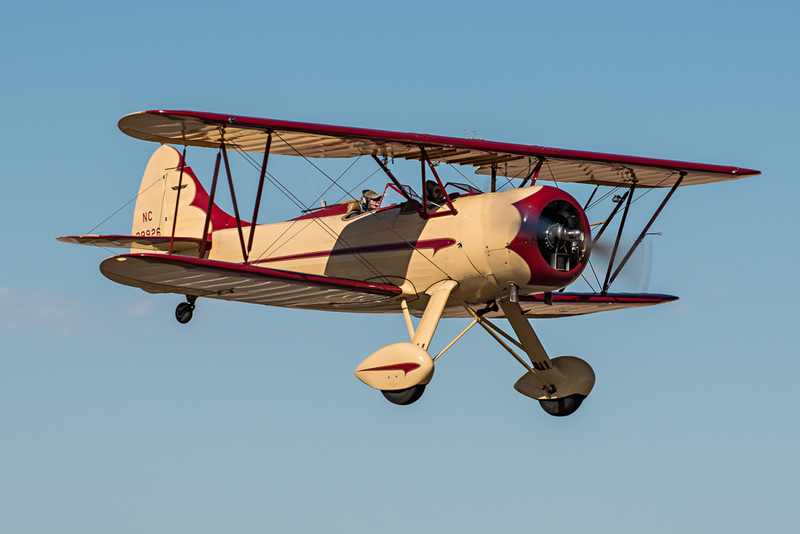 With the looks of a classic aircraft, and the structural integrity and performance of a modern aircraft, the 1929XF contains the best of several eras. 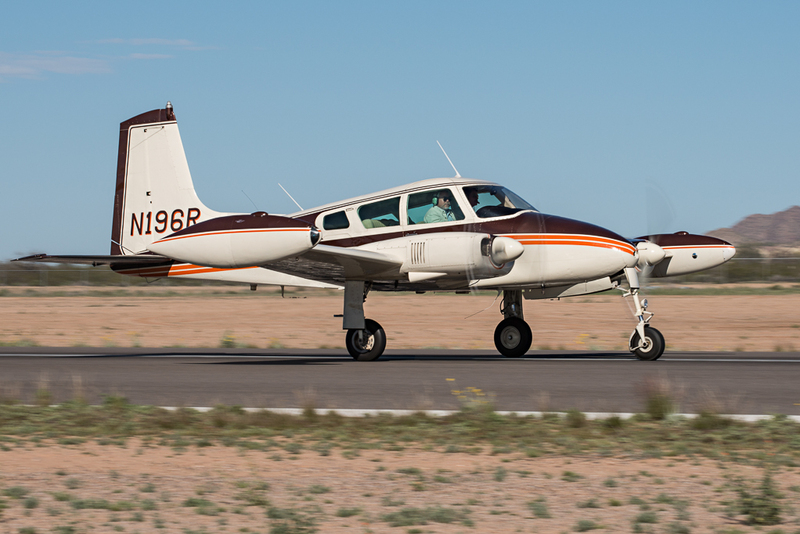 Another interesting aircraft was a 1959 Pilatus P-3 (N836HS). 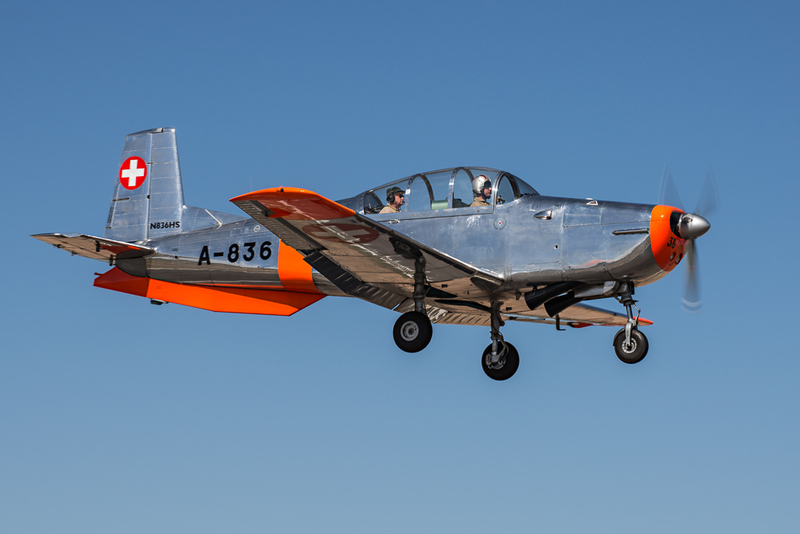 The Pilatus P-3 was manufactured by Pilatus Aircraft of Switzerland as a military training aircraft. 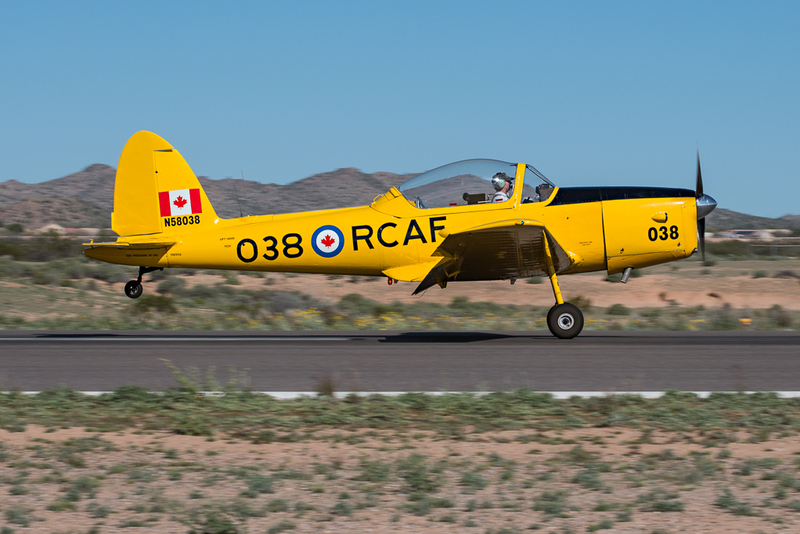 The aircraft was initially built to help prepare young pilots to transition to the De Havilland Vampire and Venom jet fighters. 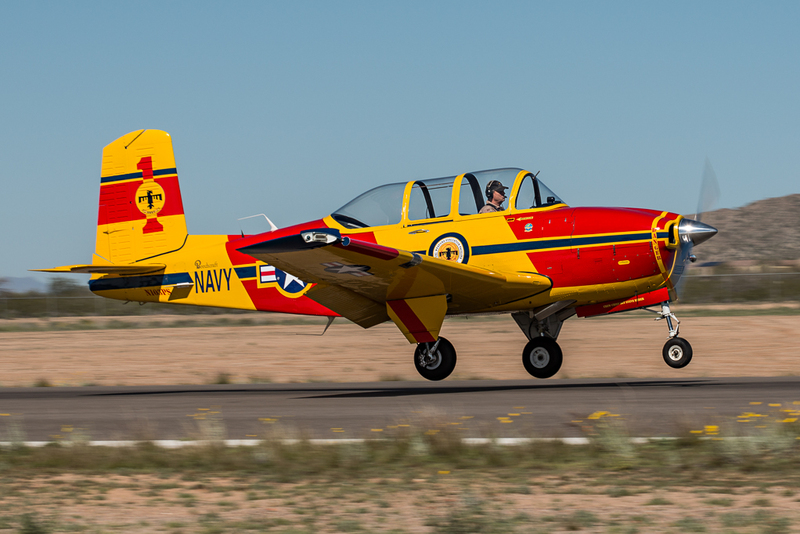 It was used by the Swiss Air Force and the Brazilian Navy. 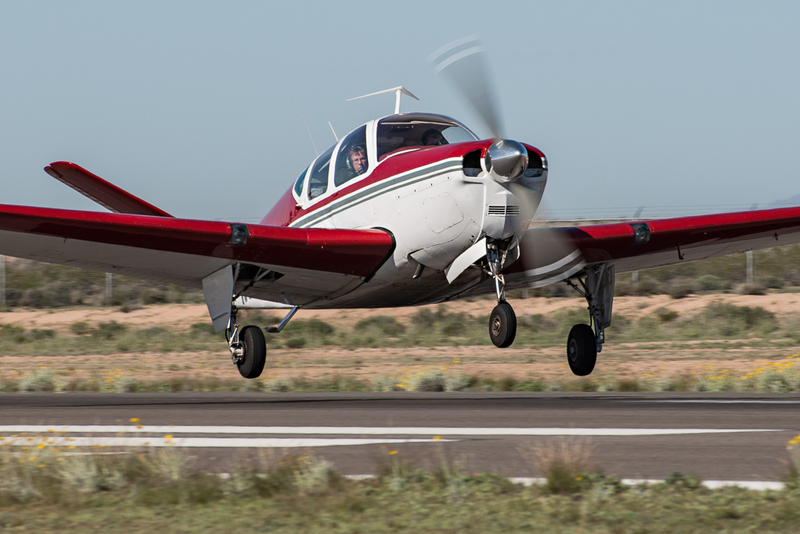 The lessons learned during the development of the P-3 helped pave the way for the highly successful Pilatus PC-7 and PC-9 models which are cornerstone of Pilatus’ military trainers. 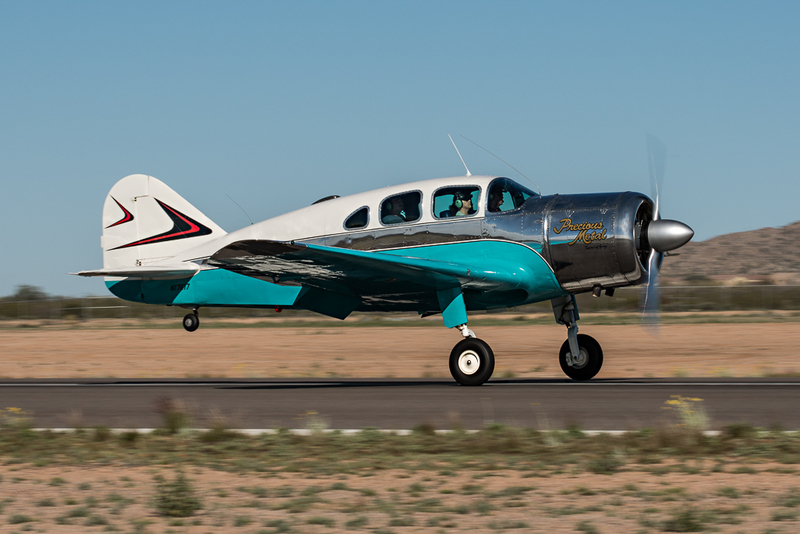 In the U.S. we see many examples of the similar Beechcraft T-34 Mentor, while the Pilatus P-3 is an uncommon sight. 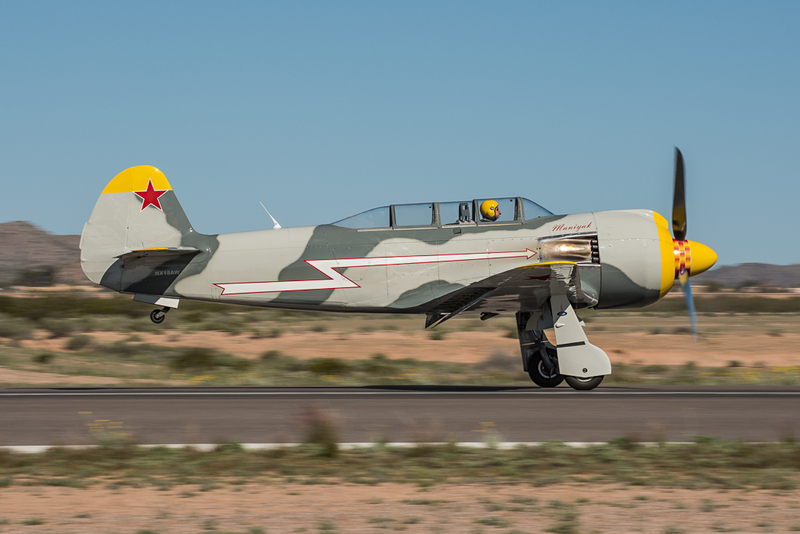 It would be unfair to only highlight a few aircraft without mentioning there were many interesting and wonderful aircraft at the 2015 Cactus Fly-In. 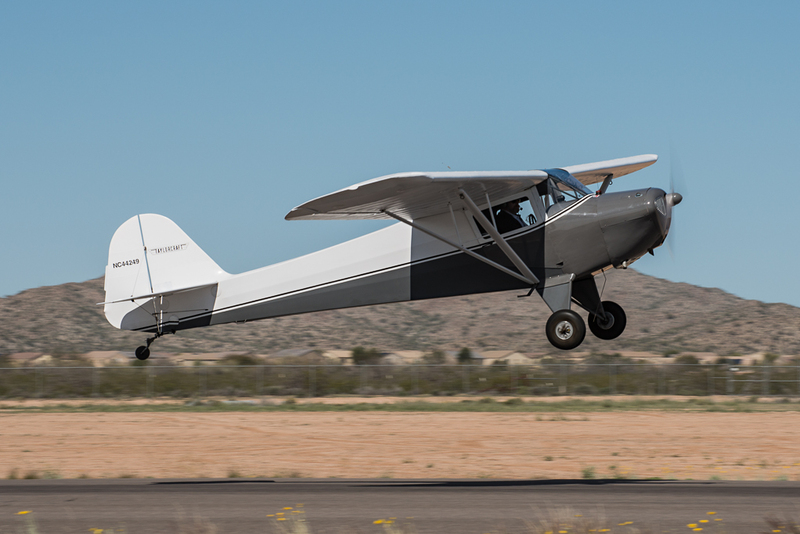 Some highlights included: a 1930 and 1931 Waco, 1938 Aeronca Chief, 1938 and 1940 Spartan Executive, 1941 Monocoupe 90, 1941 Stinson Reliant, 1946 Buecker AERO Z, a pair of 1946 Ercoupes, 1946 Fairchild 24R, 1946 McClish Funk, 1946 Taylorcraft B, 1947 Luscombe 8, 1948 Cessna 140, 1956 Beech G35, 1956 DeHavilland DHC-1, several Boeing A75-N1’s, and a Beech C-45, just to name a few. 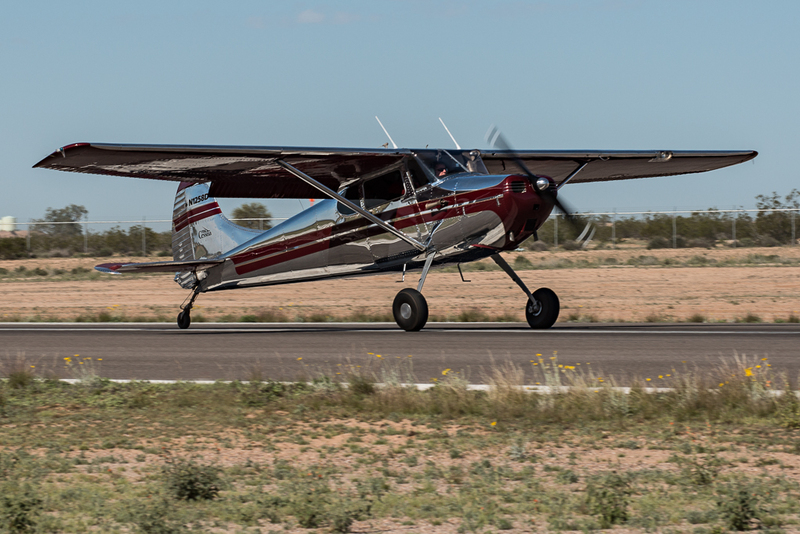 While seeing the aircraft arrive, depart, taxi, and parked on the ramp is a wonderful experience, the 2015 Cactus Fly-In was more of an interactive adventure. 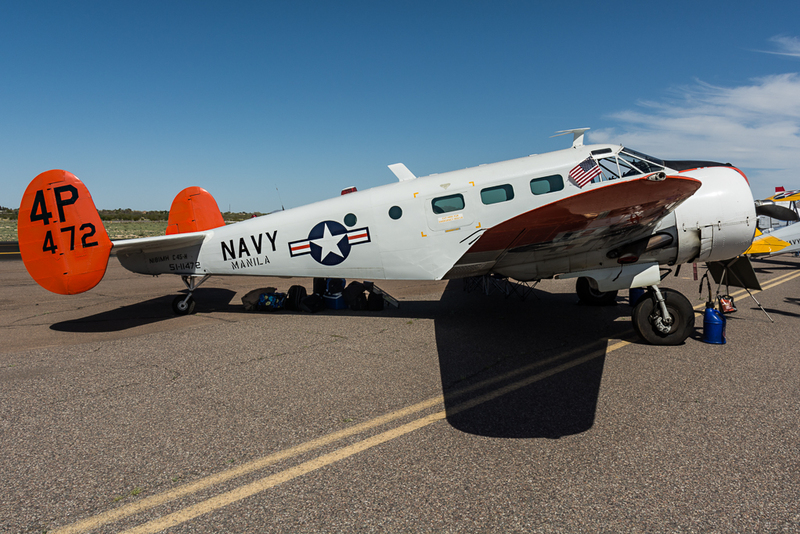 Getting to know the pilots/owners of the aircraft, participating in the aviation-related seminars, and interacting with the many vendors was also part of the fly-in experience. 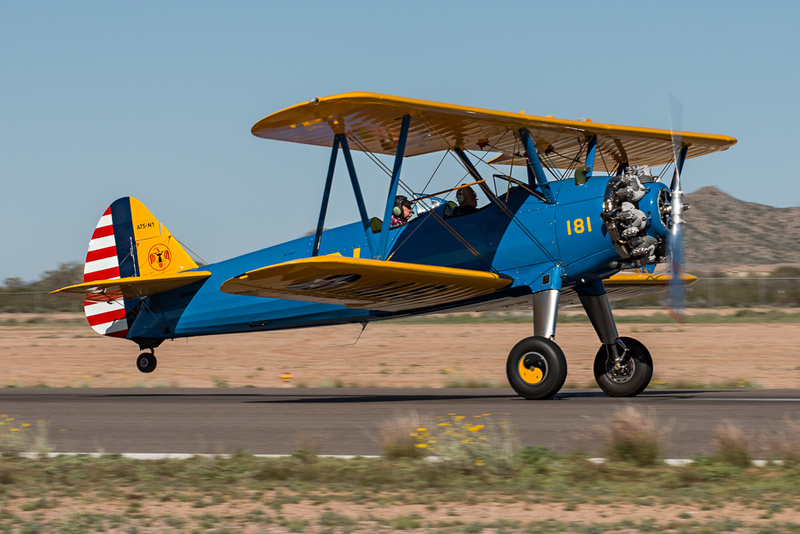 For future Cactus Fly-Ins, one of the challenges is getting today’s youth not only interested in aviation, but to grow an appreciation for these fine antique and classic aircraft. 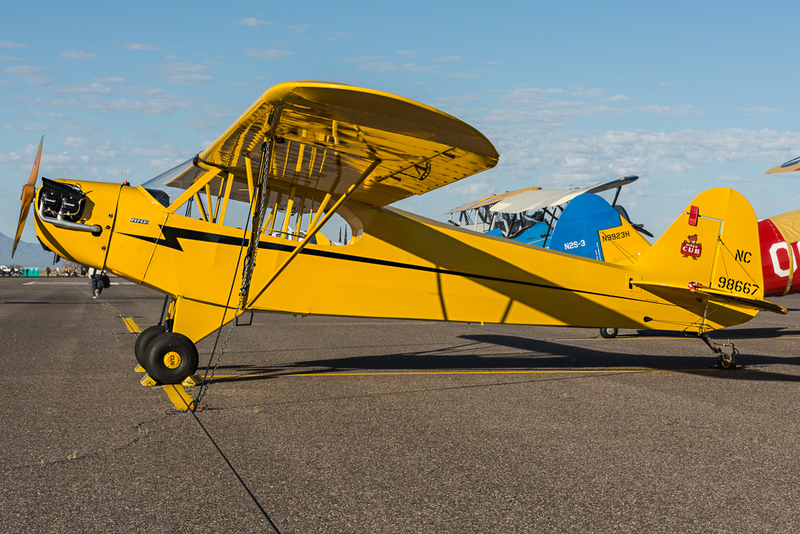 As Arv Shultz put it, “It’s an aging pilot population, but, at the same token, we are trying to encourage young people to take an interest in these airplanes, these antiques and classic airplanes and keep them flying as long as we can. 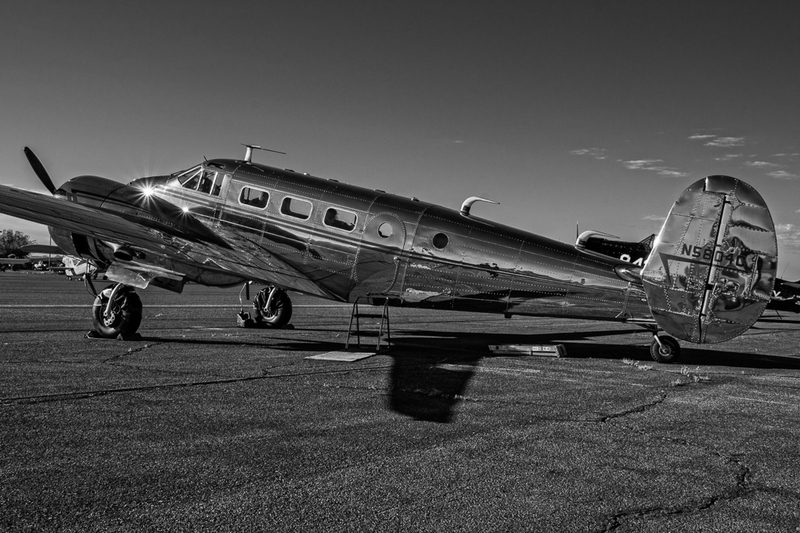 Eventually, they are all going to be museum pieces, but I hope, in my lifetime, we continue to see them to fly”. 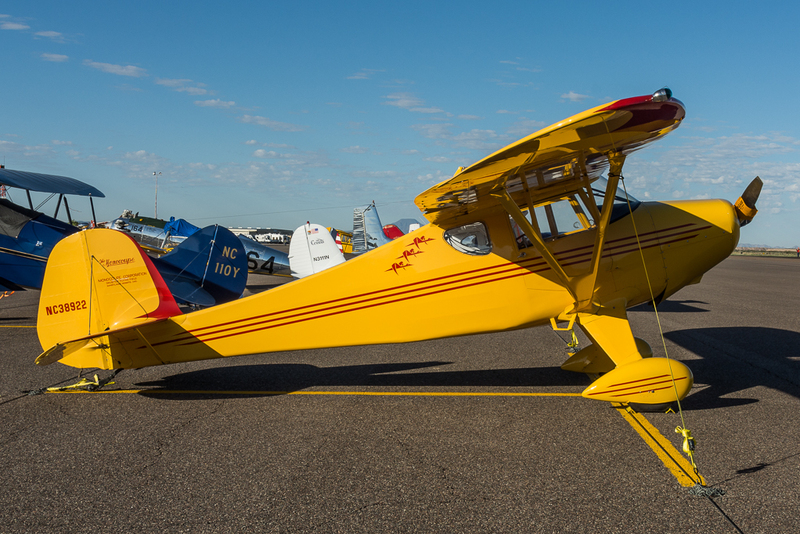 It takes a lot of hard work from many volunteers to make a fly-in successful. 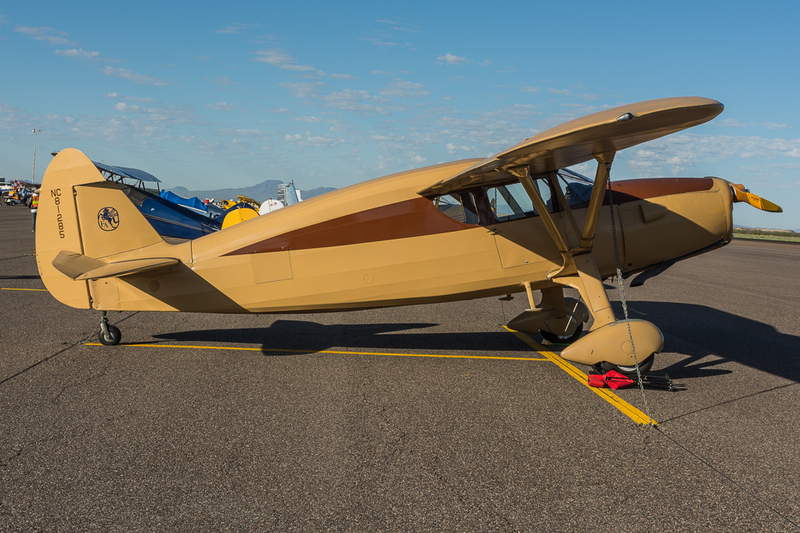 Arv Schultz added: “and it’s all done by volunteers. 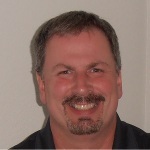 There’re no paid administrators that do this, so it’s all volunteers that take over and keep this thing going. 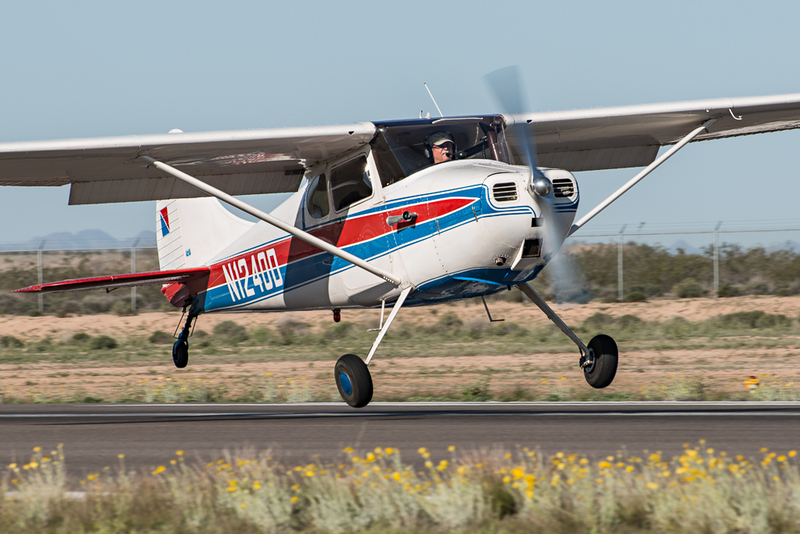 Close to 75 volunteers supported the 2015 Cactus Fly-In and that’s starting with people that work the flight line, parking airplanes, to parking cars in the parking area, people attending the gates, and the people that are doing the ticket collecting and so on…so, it’s quite involved”. 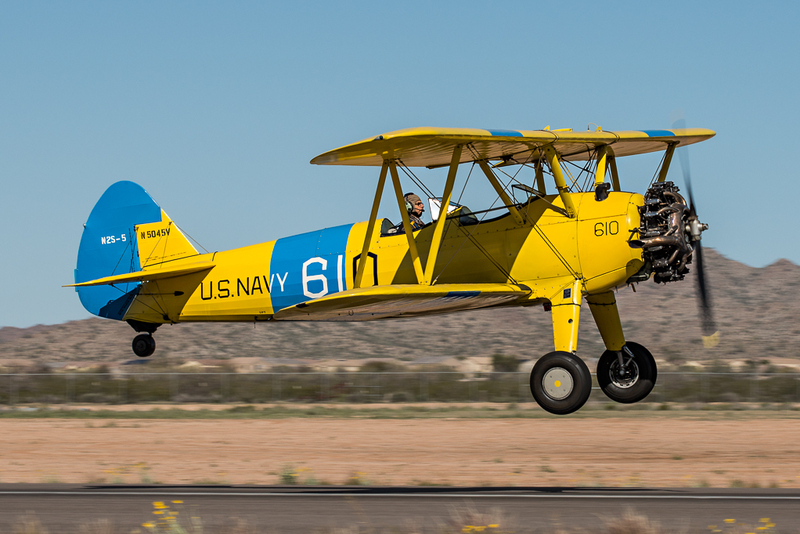 The 2015 Cactus Fly-In was a weekend of great weather, wonderful aircraft, and outstanding people. 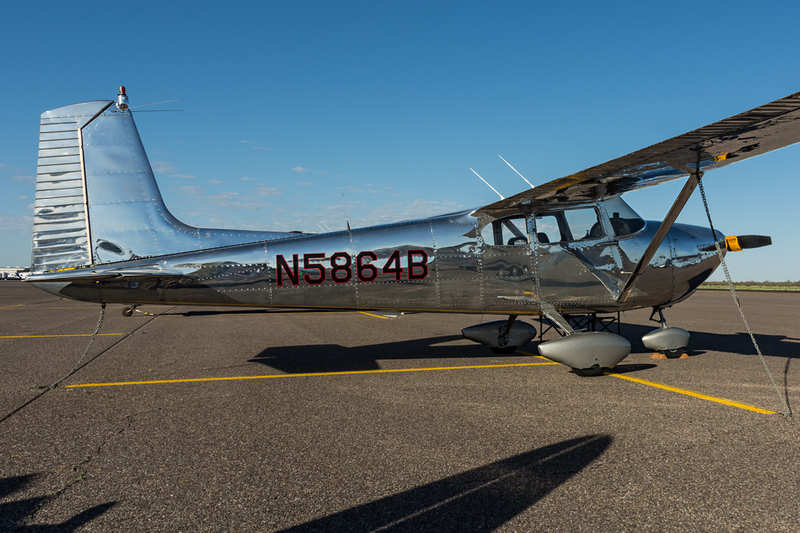 Fly-ins are a great way to get up-close-and-personal with the aircraft and the pilots involved in general aviation. 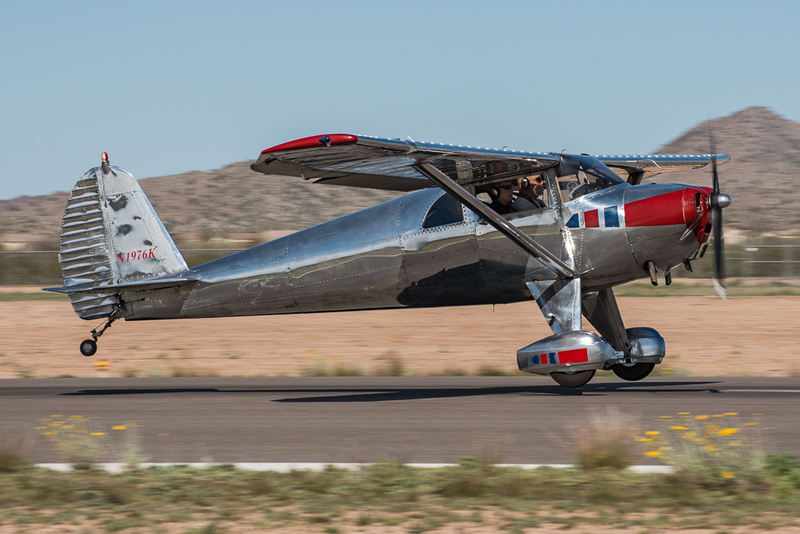 The Cactus Fly-In stands out because it features many vintage aircraft that may not be flying ten years from now. 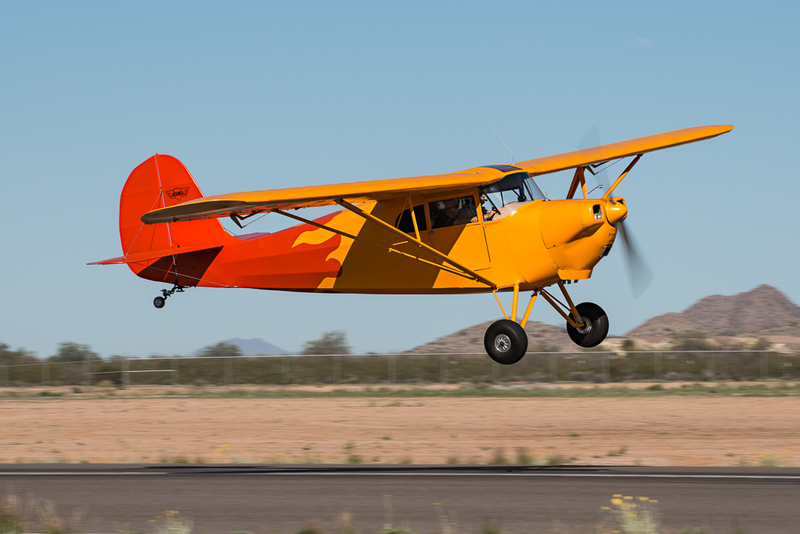 If you are a fan of general aviation and/or vintage aircraft, mark your calendar for the 2016 Cactus Fly-In. 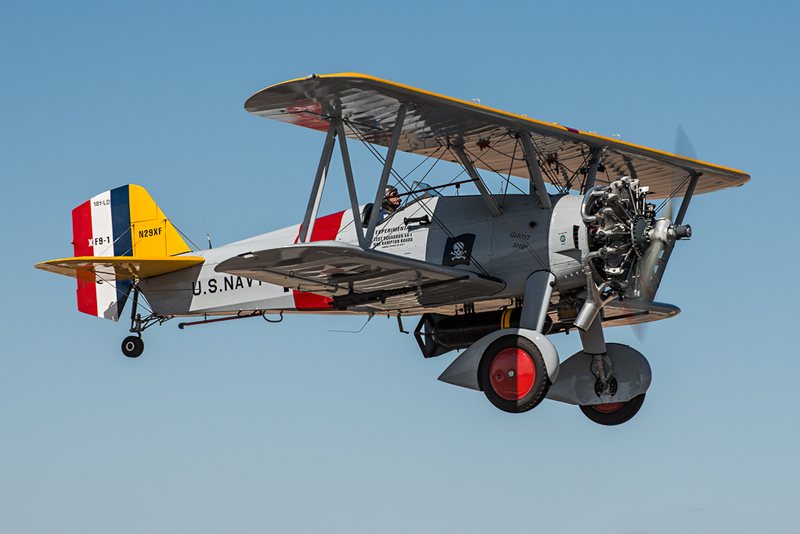 If you attend, you will realize there are not many better ways to spend a day (or two) in early March. 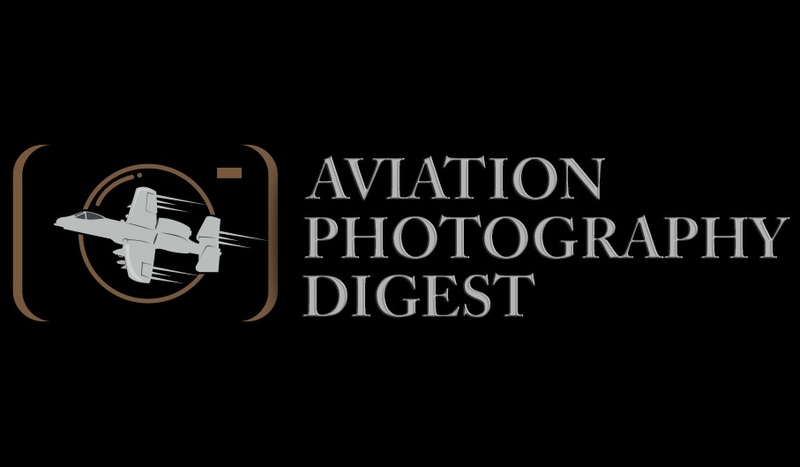 Aviation Photography Digest would like to thank Arv Schultz, Stephen Bass, and Rudy Morris for their assistance with this article. 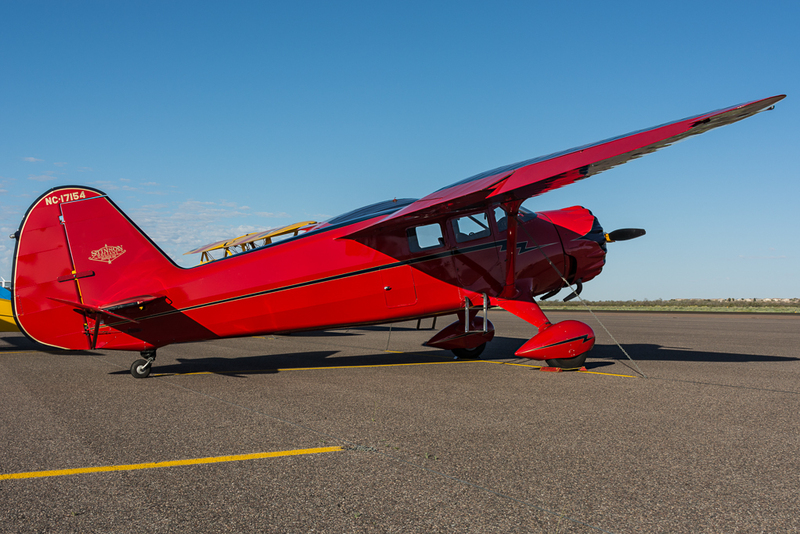 1951 Beech D18S "Twin Beech"